With the second-most acreage of water in the state of Florida, much of Lakeland faces extraordinary levels of phosphorus and aquatic nutrients — making its aquatic environments a haven for weeds and algae. 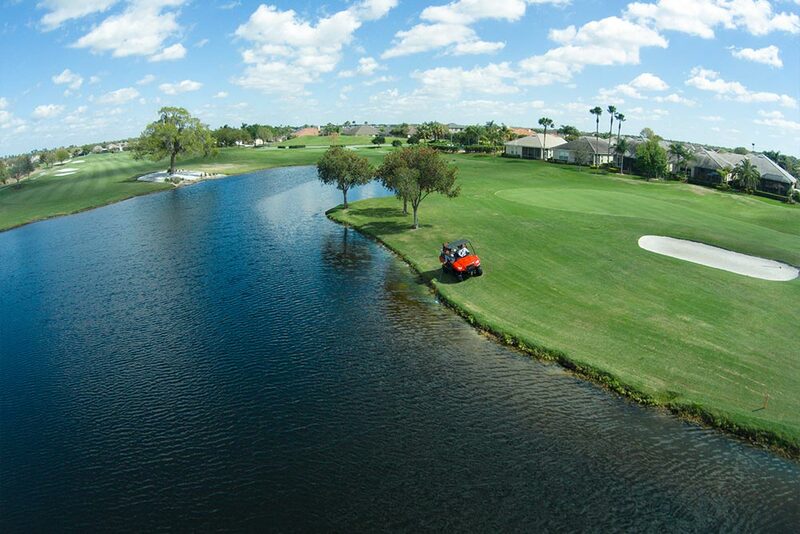 Understanding the challenges they face, Grasslands Golf & Country Club chose AAM to provide ongoing aquatic weed maintenance of their golf course ponds and mitigation areas. When we started working with Grasslands over four years ago in 2009, the property had been maintained, but not effectively. Algae problems, overgrowth of grasses, emersed vegetation and both invasive and exotic species were documented. An area like Grasslands receives phenomenal amounts of storm water runoff. This increases already high nutrient and phosphate levels, making frequency of treatments key. We’re at Grasslands every Monday. It didn’t take us long to get the golf course ponds back to pristine condition. Using only EPA-registered chemicals, AAM’s golf course clientele has peace of mind knowing resident wildlife will not be harmed. Here at AAM, our staff takes great pride in providing exceptional customer service. We understand what’s important to our clients. For golf courses, their customers are the priority. Every employee at AAM is courteous to golfers, disrupting them as little as possible while conducting aquatic treatment services. We also have the tools and equipment to access the water without damaging the turf and property. Golfers desire pristine greens and an overall beautiful course. If you’re unsatisfied with how your golf course ponds are currently maintained, it’s time you call AAM. With over 30 years in aquatic weed management, we know what works. We’ll work with you to develop a custom treatment plan specific to your golf course and within your budget. From algae blooms and invasive aquatic species to selective maintenance, you’ll receive AAM’s superior innovative spray management techniques and see the outstanding success rates you deserve. Take the first step and see just what AAM can do for you.